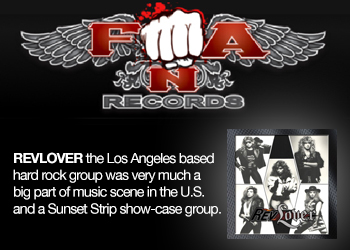 Fueled by hard rock passion and eager to live up to their name, the band barreled into the club circuit, starting with the Troubadour before embarking on a rockin’ rampage through popular Sunset Strip clubs like the Roxy, Whiskey a Go Go, The Central, and Coconut Teazer, as well as other Los Angeles music clubs such as the Marquee, FM Station, and the Country Club. Not content to be just local L.A. boys, the band ventured out of state, playing Rafters in Salt Lake City, Rock-It and Other Place in Florida, and Mason Jar in Phoenix. 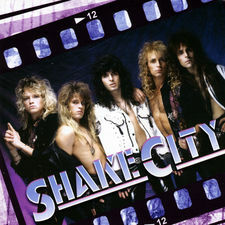 During this time, SHAKE CITY rocked out alongside the likes of Kiss, Swingin’ Thing, Cherry Street, TAZ, Warrant, Britny Fox, and Wikked Gypsy just to name a few. Some of the songs that shook the walls of those legendary venues were co-written by Tommy Thayer of Black N Blue fame, as well as Erik Turner and Jani Lane of Warrant, so it should come as no great surprise that the band cites both bands as being major influences on their sound, along with Bon Jovi, Kix, Aerosmith, and Kiss. All the band ever wanted to do was satisfy their fans by serving up the kind of hard rocking tunes that get your fists pumping and your head banging, 80’s-style, of course. 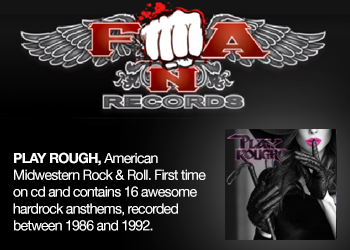 Working with Thayer, Turner and Pat Regan in the studio, they were able to accomplish that goal. But despite having the hooks and the looks, the sound to astound, despite playing all the right clubs, knowing all the right people, and getting covered in all the right magazines, SHAKE CITY never cracked the so-called big-time. Blame it on a changing musical climate (grunge was coming into vogue), blame it on the fact that there were a lot of bands doing the same style of hard rock, blame it on the fact that SHAKE CITY didn’t resort to cheap novelty gimmicks like guzzling blood or setting themselves ablaze on stage. Blame it on whatever you like. Whatever the case, after five years of making some serious noise, SHAKE CITY fell silent in 1992, right around the time the L.A. Riots turned the city into a hell-zone. 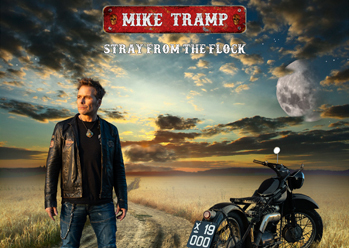 The band members went their separate ways and drifted down different roads and SHAKE CITY was never to be heard from again. SHAKE CITY’s music is resurrected and once again through Eonian Records available to hard rock’s legions of faithful followers. Because sometimes you just can’t keep a good band down.